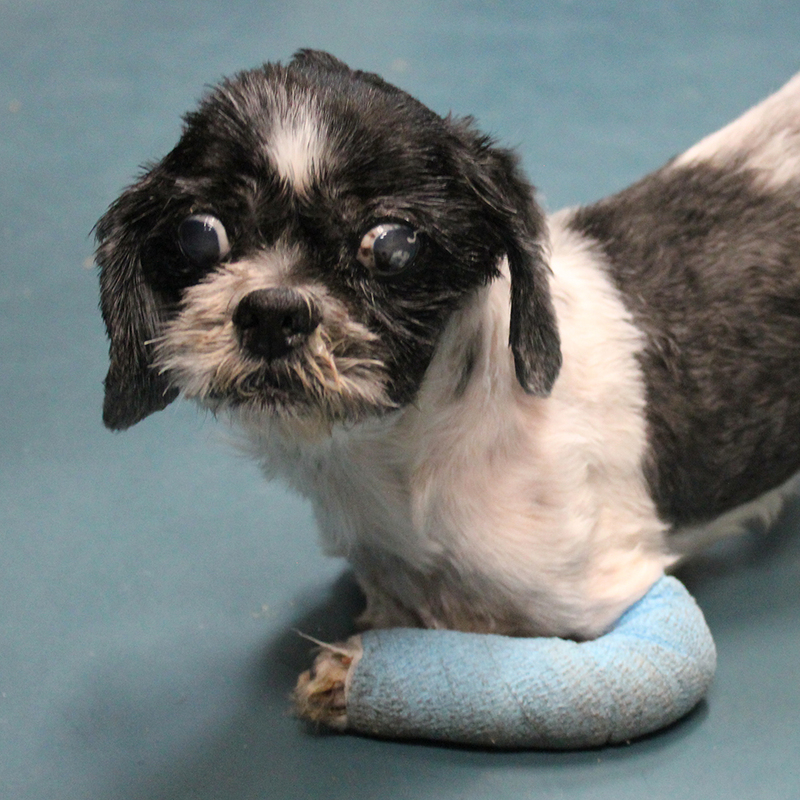 Forest came to North Shore Animal League America in heartbreaking condition. 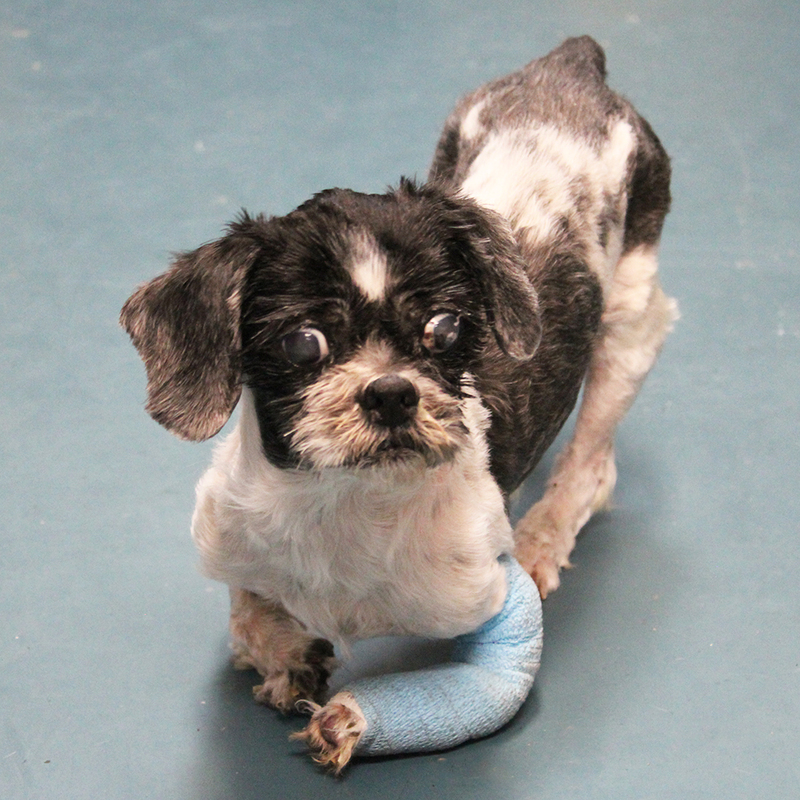 He had been severely neglected and then abandoned in a vacant parking lot. His coat was filthy and matted, leaving his ears and skin infected. Both of his front legs have orthopedic problems including dislocated elbows. One paw had actually been strangled when his unkempt hair was allowed to wrap around it. He also had dental disease. And Forest is blind in both eyes. We cleaned him, shaved his coat to an appropriate length, treated his wounds and dental issues, and he was fitted with a front-limb cart so he can move comfortably. He was then put into our Foster Care Program to rest and recover. One thing is for sure: Forest will have everything he needs to lead a happy, healthy life because of his Sponsors. Thank you! Your support of Animal League America’s Pet Sponsorship Program will ensure that Forest and all the Sponsor animals receive the love and care they need to be as happy and healthy as possible. This handsome fella didn’t look so gorgeous when he arrived at our Pet Health Centers. 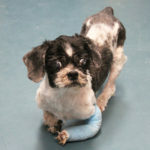 He’d been abandoned in a parking lot in shocking condition. His coat was so matted and tight it was cutting off his circulation. 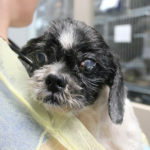 He has serious orthopedic problems, dental disease, and is blind. But his can-do attitude and bright personality inspired everyone, and now he is home with Juliana — who adores him — and his two canine brothers and three feline brothers. “Forest is doing wonderful,” said Juliana. “He has really come out of his shell in our home. His favorite things to do are play with his squeaky toys and snuggle.” Does it get any better than this? We don’t think so. Your monthly gift ensures that I will always get the medical care I need. You can also choose to Give the Gift of Sponsorship to a loved one. For more information about our Pet Sponsor Program, read our FAQ’s or contact us at [email protected].